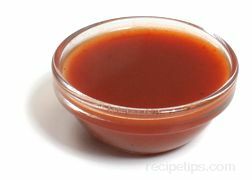 1) Brown (demi-glace) or Espagnole - sauces that are brown stock-based, such as brown sauces. 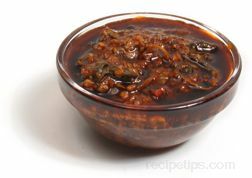 Common sauces in this group include Bordelaise, Chasseur, Chateaubriand, Diable, Diane, Estragon, Lyonnaise, Madère, Madeira, Moscovite, Mushroom, Piquante, Porto, Robert, Romaine, Tarragon, and Zingara. 2) Velouté - sauces that are made with white stock and roux. 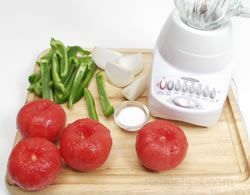 Common sauces in this group include, Allemande, Ravigote, Suprème, and White Bordelaise. 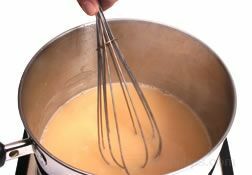 3) Béchamel - sauces that are made with milk and pale roux. Common sauces in this group include Crème, Mornay and Soubise. 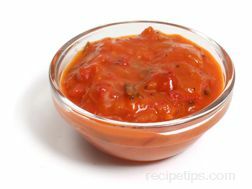 4) Red or Tomato Sauces - tomato based sauces. 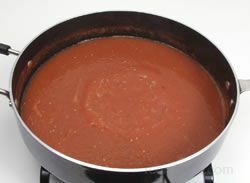 Common sauces in this category include spaghetti sauce, marinara and a wide variety of tomato sauces. 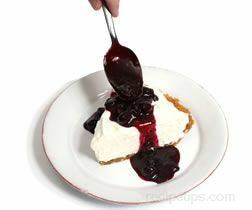 5) Emulsions - sauces that are emulsified such as hollandaise or mayonnaise.